The index opened weak below the psychological level of 7400 and stayed normally weak with only move above 7400 sold with ease to close near the lows at 7361.80, huge loss of 93.75 points. The broader market was very weak with 211 advances to 1359 declines. The range has narrowed down to 7200-7600. Call option 7200-7800 added huge 21.23 lacs OI with profit booking seen at 7900 and above strike prices. Put option 7300-6800 added 11.95 lacs OI with short covering seen at 7400 and above strike prices. 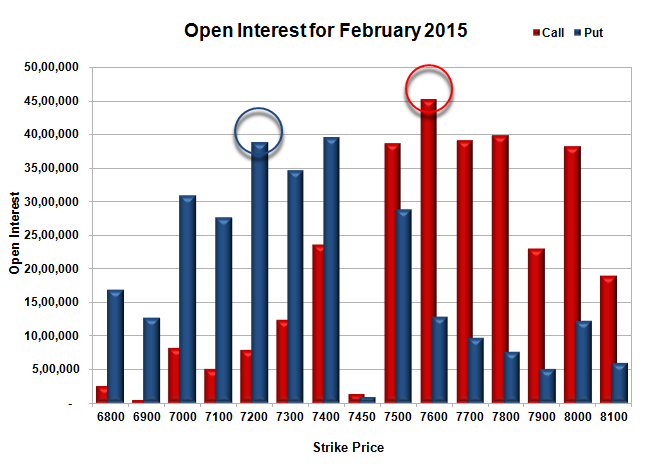 Nifty Open Interest is at 1,94,63,475 up by 1,29,075, with decrease in price, most probably huge short build-up. 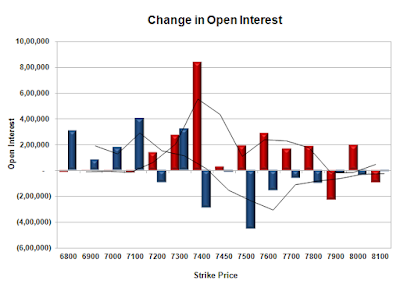 Bank Nifty Open Interest is at 25,47,060 down by 28,680, with decrease in price, most probably small long liquidation. FII’s sold 1.62 lacs Futures, which includes net 3982 contracts long liquidation and 2517 contracts short build-up, with decrease in net OI by 1465 contracts, includes 26218 longs to 32717 shorts for the day. FII’s Index future open contract as on date is 78117 Longs to 129558 Shorts, Net (-)51441 down by 6499 contracts. Initial support at 7300, with OI of 34.68 lacs and below that at 7200 with OI of 38.90 lacs. 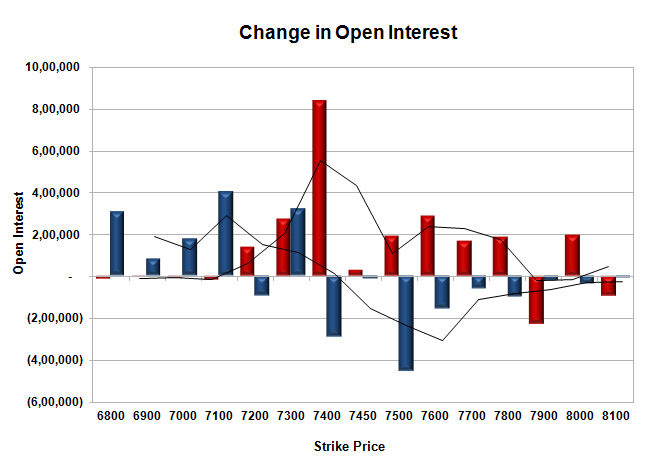 Initial resistance at 7400, with huge OI addition of 8.38 lacs and above that at 7500 with OI of 38.66 lacs. 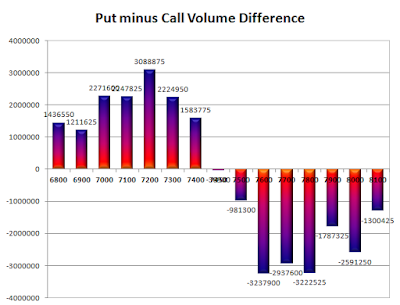 Day Range as per Option Table is 7291 - 7460 and as per VIX is 7292 - 7431 with 7377 as the Pivot.